Last year’s flu season was one of the worst outbreaks we have seen in a long time. Traditionally, flu season in Central Florida starts around September, picks up speed in October, and then peaks around January. However, the 2017-18 outbreak of influenza hit early, hit hard, and lasted well into the month of May, accounting for a total of 239 deaths. Could this illness— and these statistics — have been prevented by receiving the immunization? First and foremost: It is critical that those most susceptible to risk, infants, young children, expectant mothers, and our senior family members, receive a flu shot. These individuals are most at risk for complications from the flu and should receive the immunization every year to help minimize the risk. Secondly, individuals with chronic health conditions or a compromised immune system should receive a flu shot. If you’re undergoing treatment for another disease, it’s important to reduce your risk for the flu by getting the annual immunization. Thirdly, and equally as important, don’t put it off. Influenza is a virus that can spread like wildfire given the ideal conditions, and, like we learned from last year, there can be more than one strain of the virus actively plaguing a community. Getting a flu shot early will help increase your odds of protecting yourself and your family from catching this sickness. Call us today at (866) 234-8534 to schedule an appointment for a flu shot at any of our 14 convenient locations in Polk, Highlands, and Hardee counties. 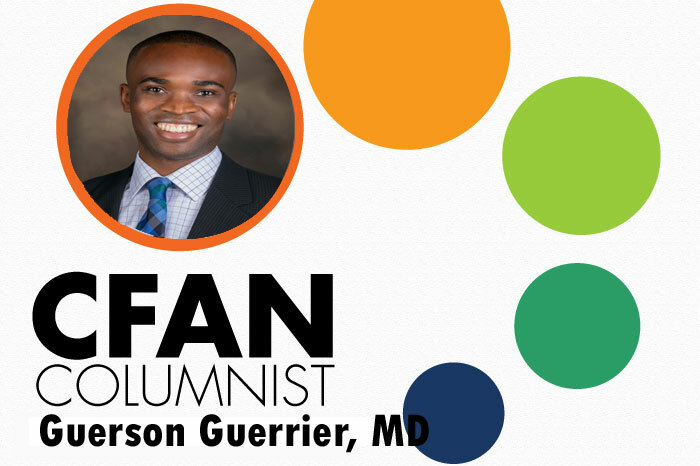 BIO: Dr. Guerson Guerrier is a family practice physician with Central Florida Health Care, Inc. He received his education at St. Matthews University School of Medicine, and currently treats his patients at the Mulberry location. To make an appointment with Dr. Guerrier or with any of our providers at our 14 different locations, call (866) 234-8534 or visit cfhconline.org.